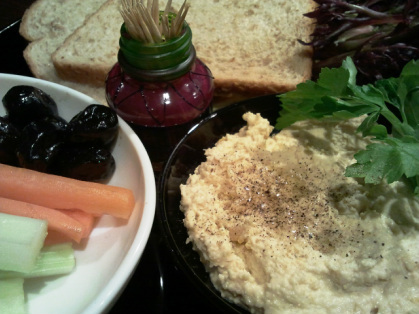 Serve with crudités, warm pitta bread, in a sandwich, on a baked potato, etc. A raw version is also surprisingly successful; simply soak the chickpeas for 2-3 days until they sprout and substitute 50g sesame seeds for the tahini. It will be less creamy than the cooked version but tastes the same!